﻿﻿Unemployment is Down - Why Aren't Wages Up? PAUL JAY: There’s more jobs but the growth in wages is actually down a little bit. That’s the new jobs report, and that’s next on The Real News Network. So in February, the growth in average workers’ wages was up 10 cents, but in March, it was only up 4 cents. That’s in spite of unemployment being at 3.8 percent, which some people consider full employment. I don’t. When I was a kid, 3.84 percent was considered high unemployment, and this has become a new norm. At any rate, if employment is up, unemployment is down, why aren’t wages catching up to productivity? Now joining us to talk about all of this is Jerry Epstein. 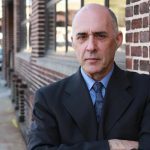 Jerry teaches at Amherst Massachusetts, Jerry is co-director of The Political Economy Research Institute, PERI, and he’s a professor of Economics at UMass. Thanks for joining us, Jerry. GERALD EPSTEIN: Thanks a lot, Paul. PAUL JAY: So over the arc of the last 20 years, we know that wages have not kept up with productivity. 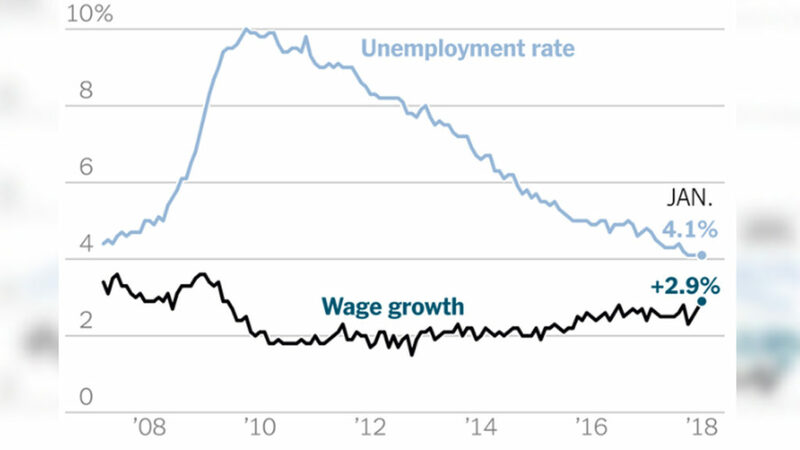 But now that employment levels are down to this 3.8 percent, which is pretty low based on the last few years, why aren’t we seeing a faster and greater growth in wages? GERALD EPSTEIN: Well first of all, I think the point that you made in the introduction, 3.8 percent unemployment is low by the official statistics, but there’s still a lot of hidden unemployment in the economy. For example, if you look at teenage unemployment, it’s over 12 percent, black unemployment is over 6 percent. There are still about 4 million workers out there who are only working part time but want to work full time, and there are still discouraged workers out there who have given up looking for work because they can’t find a decent job. Nonetheless, 3.8 percent is a relatively low unemployment number by historical standards. And so, the puzzle does remain, why aren’t wages growing at a much more rapid rate, and why isn’t it closing the gap rapidly between productivity growth, which has really outstripped wage growth over the last 25 years? And I say it’s a puzzle because most economists see it as a puzzle, we don’t completely understand what’s going on. But we can identify factors that are causing this. The first thing, and the main thing, is just the reduced power of workers. Labor union rates are way down and labor laws have turned against workers ever since the Clinton administration, or even before that, the Reagan administration. So workers have less bargaining power, even though the unemployment rate is relatively low. So that’s, I think, a key factor. The second factor is the norms of the capitalist class. They’ve got used to easy street over many years, over many decades, where they could get away with not having to pay workers very much, by not having to give workers many benefits. And with the large recession of 2007–2008, it also made them scared about giving salary increases to workers. So they might give temporary bonuses, but they’re worried about giving salary increases, permanent ones, because they don’t know what’s going to be happening in the economy next. This uncertainty is exacerbated by all the uncertainty generated by the Trump administration; the trade wars, the changes in taxes, the threats to close the borders with Mexico, et cetera. All this is generating uncertainty too, which leads firms to give perhaps part time increases, but not real salary increases. Finally, we have technology, which is a factor in here that economists don’t really understand, but may be putting some pressure on wages as well. I said finally, but there’s also, of course, international competition, which despite the trade war is still very much a factor in limiting wage growth. PAUL JAY: This is playing off Chinese and other workers that are working far more cheaply against American workers. GERALD EPSTEIN: That’s right. It’s a typical capitalist divide and conquer strategy, and that’s been a dominant strategy in the last 20 or 30 years. PAUL JAY: So what should workers do, then? GERALD EPSTEIN: The first thing, of course, is that workers need to get more organized into unions, need to protest working conditions and wages. And we’re seeing that in the so-called gig economy. When we saw Uber and Lyft drivers going on strike, that’s an important sign, this kind of informalization or gigization of work. It has been a factor, and the fact that these workers are now trying to organize and trying to strike is important. There have been more strikes among teachers. That’s been a positive thing. So it does seem like workers are getting more organized, they’re striking more, they’re demanding higher wages. And if this can pick up momentum, and if the labor unions can figure out ways to support and accommodate these kinds of movements, that’s a big thing. The other thing is legislation to increase minimum wages. I mean, we’ve seen some progress in terms of raising minimum wages, but it hasn’t been enough. So the Fight for $15 that some of the progressive politicians are pushing is also another important factor. If you raise wages at the bottom, that pushes up wages throughout a larger part of the wage distribution. So we’re seeing positive signs, mostly in terms of the organization of the working class, and that’s what’s really going to have to do it. PAUL JAY: OK. In part two of this discussion–and take a look. And this is how we’re going to be doing interviews in the future, shorter off the top, a part two that’s a little longer. We’re going to discuss whether any of the measures Trump is proposing in terms of his trade wars will actually raise American workers’ wages, which is what he promised. So please join us for part two of this. And thank you for joining us on The Real News Network.